This plan is “evacuation-only” (medical transportation including air and land transport from medical facility to medical facility of your choice), not medical or travel insurance. 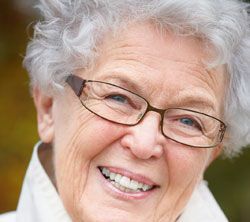 (All of our senior travel medical insurance plans do include emergency evacuation for senior travel as a benefit.) Please make sure you are covered in a medical emergency before purchasing stand-alone medical transportation only. Generally, about $450 per person per annum, $395 with AARP discount. If two members are traveling together, both must complete their own application: Either Diamond for single travel, Diamond+One if traveling with person under 75, or Diamond+Diamond if both travelers are over 75 years of age. Diamond family memberships with members over age 75 will need to submit an individual health questionnaire for each member over age 75. A general health questionnaire and medical statement must be completed by the prospective member and his or her physician. Only the Medical Statement form provided by MedjetAssist will be accepted for consideration. All information is kept strictly confidential. Excess of 90% approval rate or accepted based on specific exclusions. To view detailed benefits, or rules and regulations for the Diamond membership, please download the Medjet Assist Diamond Rules and Regulations above. A member with tuberculosis or other chronic airborne pathogens may not be transported. A member beyond the second trimester of pregnancy may not be transported. A member with mild lesions, simple injuries such as sprains, simple fractures or mild illness which can be treated by local doctors and do not prevent the member from continuing their trip or returning home does not qualify for air medical transport. Air medical transport services will not be provided in cases where the member’s primary admitting diagnosis is an inpatient psychiatric disorder. A member traveling outside the United States for the sole purpose of seeking medical treatment whether inpatient or outpatient, experimental or otherwise, will not be eligible for air medical transport benefits for that specific trip. A member traveling or living outside the United States or Canada for an uninterrupted period in excess of 90 days is not eligible for membership benefits beyond the 90th day. Family members, business associates, and/or traveling companions may accompany the patient, at no additional cost, on a MedjetAssist authorized aircraft during transport, provided space is available and the patient care is not compromised. Passengers accompanying patients transported on scheduled commercial aircraft will be responsible for such passengers’ own airfare. A member who is hospitalized at the time of enrollment will not be eligible for transport benefits for that hospitalization and may not be accepted for membership entirely. The following pre-existing medical condition limitation applies to all Diamond Plan Emergency Evacuation for Senior Travel. Membership benefits will not be provided for any pre-existing defect, infirmity or condition for which an enrolled member is receiving medical treatment, advice or consultation where there has been any (1) changes in the dosage or usage of prescribed medication for that condition, or (2) changes or modifications to an existing prescribed plan of treatment for the condition, or (3) internal or external treatment or therapy for that condition, either as an inpatient or outpatient during the six (6) months (180 days) immediately prior to the effective date of the membership. If, however, there are no changes or treatments during this (6) month period as described above, benefits will be provided to the member for sudden and unexpected illness or injury. MedjetAssist reserves the right to change or amend these rules and regulations. MedjetAssist is solely responsible for the interpretation and application of the rules and regulations communicated in this publication. All determinations by MedjetAssist shall be final and conclusive in each case. Memberships are non-transferable and non-refundable. By enrolling as a member you accept and agree to the terms and conditions of membership. Good Neighbor Insurance is proud to offer Medjet Emergency Evacuation for Senior travel (Medical transportation) services to our clients aged 75-84.